Why See Dave Matthews and Tim Reynolds? Back in the early 90s, aspiring songwriters Dave Matthews and Tim Reynolds were working in bar together in Charlottesville. The two would jam together, and after refusing him entry to his band TR3, Tim advised Dave to form his own band, and the rest, as they say, is history. 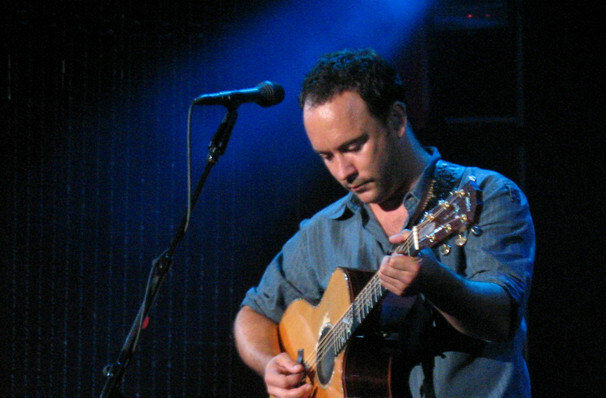 The pair have stayed firm friends over the years, with Tim frequently joining the Dave Matthews Band in the studio and on the road, but sometimes the duo like to strike out on their own too. Stripping Dave's songs (and the occasional Reynolds' original) down to its barest acoustic elements, this is a rare chance to experience one of modern rock's most popular catalogues as you've never heard it before. Tim and Dave throw in the odd cover version now and then too. Seen Dave Matthews and Tim Reynolds? Loved it? Hated it? Sound good to you? 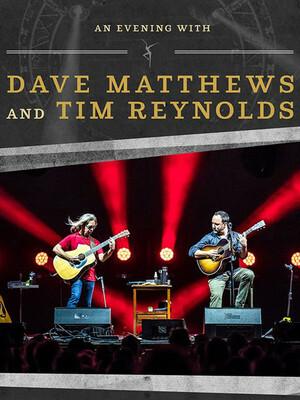 Share this page on social media and let your friends know about Dave Matthews and Tim Reynolds at Volvo Cars Stadium. Please note: The term Volvo Cars Stadium and/or Dave Matthews and Tim Reynolds as well as all associated graphics, logos, and/or other trademarks, tradenames or copyrights are the property of the Volvo Cars Stadium and/or Dave Matthews and Tim Reynolds and are used herein for factual descriptive purposes only. We are in no way associated with or authorized by the Volvo Cars Stadium and/or Dave Matthews and Tim Reynolds and neither that entity nor any of its affiliates have licensed or endorsed us to sell tickets, goods and or services in conjunction with their events.